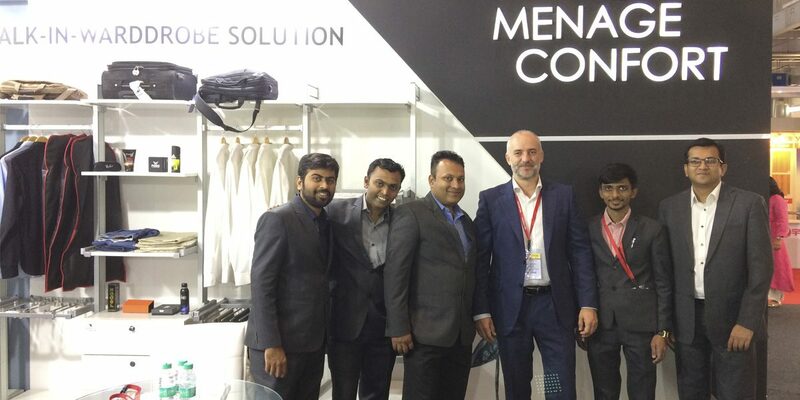 Continuing our international expansion, Menage Confort has taken part in the Delhiwood International Exhibition from 1st to 4th March. This exhibition is specialised in manufacturing technology for furniture and accessories, where companies from more than 30 countries have presented their products. In this Exhibition we had the chance to start new trade relations and strengthen the already existing ones. Menage Confort would like to thank our distributor in India, Jyoti Architectural, for their support. We want also to express our gratitude to everyone that visited our stand during these days.